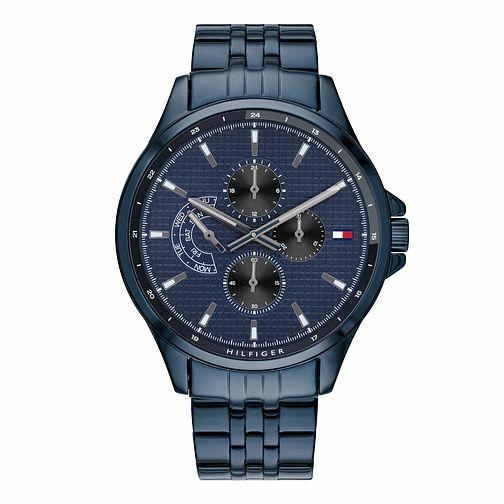 This men's watch by Tommy Hilfiger boasts a blue chronograph dial. Accented with silver and luminescent hour markers and hands, powered by quartz movement. The signature Tommy flag sits at the 3-o-clock position, opposite the day and date display at 9-o-clock. A bold blue IP case and bracelet complete this timepiece, smart style for the modern man.